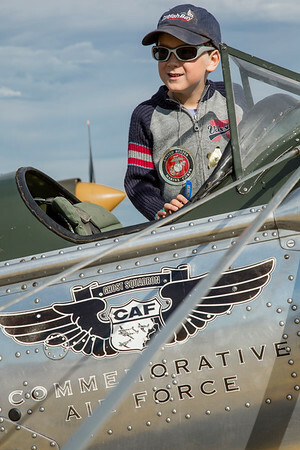 A young aviation enthusiast inspects the Minnesota Wing's PT-22. Souix Falls, SD. This image was also used for the CAF's 2016 Annual Report back cover.